Westpac has appointed Ashley Stewart to the role of acting general manager of advice to lead the transformation of the advice business. Mr Stewart will lead the transformation of the advice business and also the transition activities with Veridian Advisory as announced last month. Westpac announced, in March, its intention to simplify its structure; it sold off parts of its advice sector to Viridian Advisory. The private wealth, platforms and investments, and superannuation businesses will move into an expanded business division, while the insurance business will move into the consumer division. 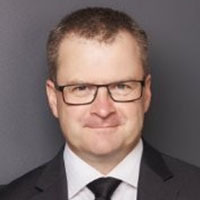 Mr Stewart has been with the Westpac Group since 2011 and has served as national head of BT Group Licensees since June 2018 while also heading Westpac’s Private wealth business in Victoria and South Australia. His appointment follows Jane Watts’ move to general manager Westpac retail and premium bank. Mr Stewart said he was excited to take on the role and continue the significant work undertaken with Viridian already. “Viridian Advisory is well progressed in the transition with a majority of offers already made to advisers within the Group. Early responses have been very positive. There is still a great deal of work to do,” he said. Ms Watts said she wanted a smooth transition for customers and advisers and Mr Stewart would provide that.